Your office is one place that needs to look spacious and organized all the time. Offices that are cluttered with objects here and there and insufficient and disorganized storage create a bad impression on the visitors and clients. It is common to find employees looking for files and documents here and there wasting their precious time. People do not know where and how to organize documents and files with the result that there is a great loss of efficiency and productivity of the employees. Office storage is as important as the decoration or the office furniture. A neat and clean and well organized office not only looks good and creates good impression on the visitors, it is also good in terms of efficiency of the employees. Many business owners buy office storage items that become inadequate and insufficient for storage necessities when the business grows in a few years time. This is when they are required to change their storage equipment and replace it with larger storage items. If you plan at the beginning and visualize where your business would be standing in a few years down the line, you can always buy storage furniture in a more judicious manner. With an expanding business, available space in the office always goes down. But this does not mean you have to fill up the entire space with storage furniture. That would be cramping your employees for space. You should rather move storage furniture here and there and also rearrange it as long as possible. You need to have a workplace that looks clean and tidy despite having sufficient space taken up by storage furniture to cater to your storage requirements. This is possible by buying cabinets with sliding doors to keep files and documents inside them. Your employees can slide the door and retrieve and keep files and folders inside these cabinets that are stacked by the side of a wall. This means these cabinets do not require a large space that has to be reserved for cabinets with door opening outwards. This also means you have extra frees space to keep other storage furniture alongside the sliding door cabinets. This is an idea that is not only practical and space saving but also allows your employees to be more efficient and productive. Computers and CPU’s are additional items that have become a necessity on the desks of the employees these days. You can still think of ways to create storage space under these tables and over them also to let employees continue to work and have access to documents and other accessories. When employees have all the necessary paraphernalia at an arm’s length, they are more comfortable and productive than when they have to get up and move up to another room to fetch files and folders. 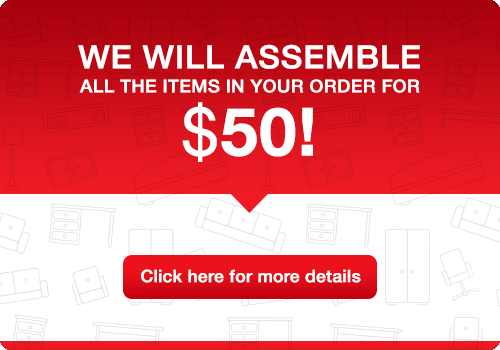 Buy desks with several drawers that are lockable also. This gives a lot more security and privacy to the employees while also ensuring the safety of important documents. Storage in desks means you are getting additional storage space without taking up any space on the floor. Corners of the walls in an office remain unused most of the time. You can d buy readymade storage furniture items to be kept at the corners or you can get a carpenter to make shelves according to the structure and your requirements. Shelves and racks mounted on walls and at corners create additional storage space in your office that can be utilized to keep the office uncluttered and tidy. These racks and shelves go a long place in ensuring that accessories and even important documents do not get lost in a sea of papers around the office. Today, there are many beautiful models of corner shelves available in the market in bold colors that help to solve your storage space shortage problems. They also make the workspace look neat and clean and more beautiful than before. Even though this is the age of digitization and records and documents are kept in electronic form, most of the offices rely on the old and tried method of paper documents as they make them feel more secure. This means that cabinets, shelves, and racks still play a very important role in keeping the workstation neat and tidy. If your idea is to keep the office light with minimum of the cabinets, the way to go is floor to ceiling cabinets that are tall and thin and look like a part of the ambience if designed by an interior decorator. Of course you would be required to make use of a foldable ladder inside the office to retrieve files from the top most drawers in such tall cabinets. But such an arrangement leaves the office uncluttered and empty. If you have a small office with little empty space for making permanent storage cabinets, it is better to get mobile storage units that are self contained with drawers and shelves to gain access to the required files anytime by the employees. This is an excellent way to give employees maximum working space without obstructing the floor with large cabinets. These movable storage cabinets can move around the office and the employees can take them to their workstation whenever they want a file or document as these units have handles and wheels on which they are mounted. Modern offices are characterized by small cubicles that are given to individual employees. Each such cubicle is a self contained unit with a desk and a chair along with enough storage space that is created on, under, and around the desk of the employees. This is a system that is loved by the workers also as they get their privacy. They are comfortable as they need not leave their cubicle to fetch a file or a document. By following these tips, you can have ample storage space in your office.